With summer around the corner, fruity inspired looks are popping up everywhere. Vintage girls enjoy bakelite cherries, fruit embellished hats, shoe clips, fruit salad jewelry and cherry print sun dresses. 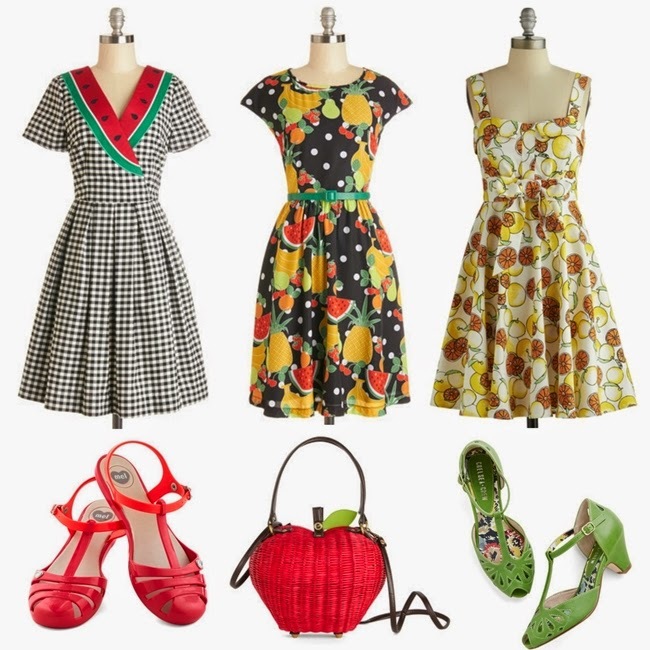 I was poking around on Modcloth yesterday when I spotted the wonderfully kitschy fruit collection, just in time for picnics and farmers markets. 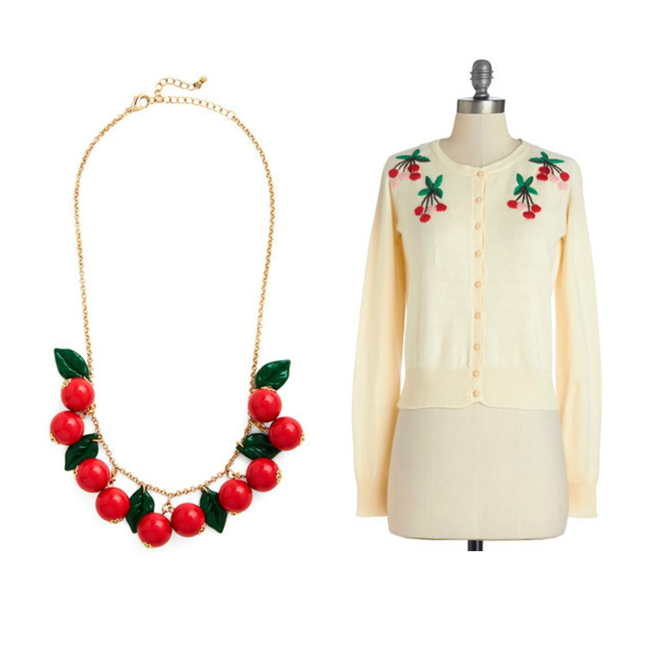 The cherry necklace is sooo 80's. I want it. ooooooh, a watermelon dress! i want it. i love watermelons! ... the apple bag is great, too. I am so obsessed with anything to do with fruit or Carmen Miranda! It's just so fun! !